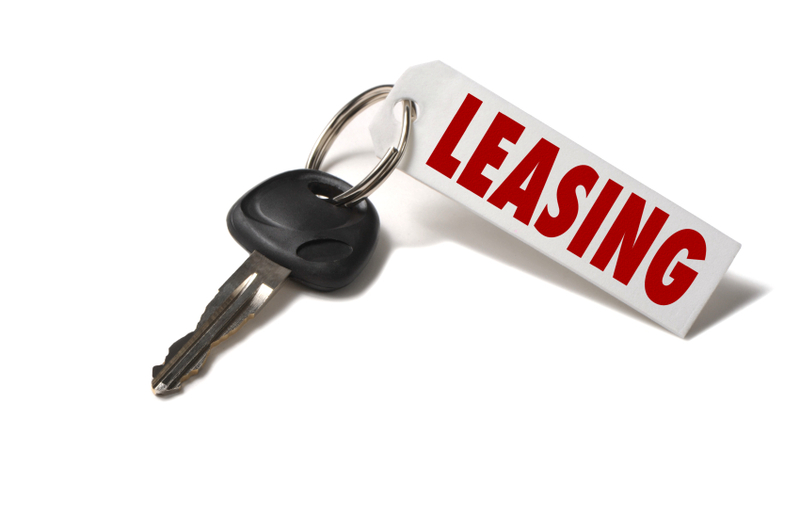 In the past I’ve gone on and on about how leasing a car is a terrible idea from a financial point of view. I made the mistake, once, almost 20 years ago now. I went so far over the mileage limit (auto leases usually put a limitation on the number of miles you can put on the vehicle each year), I had no choice but to purchase the car as the lease was expiring. In the end, it worked out for me as I probably should have bought the car right from the get-go but didn’t have the funds for that to happen (or the credit history — requiring my dad to co-sign)…which is why I went with the lease option. Fast forward to today and, well, things have drastically changed. I have the funds available to purchase pretty much any vehicle I’d like — all the way up to an entry level Lamborghini. So here I am, in the final days (yes, days), of my most recent auto loan — and I’m looking at my currently daily driver (a 2005 Scion xA) and thinking, hmmmmm, will I get through another winter with this thing? While it hasn’t let me know…yet…it also fails to give me that “reliable transportation” feeling lately. I’m often quite prepared for it to just, you know, die at the next stop light. Another shortcoming, and really the biggest of them all, is that in 2005 I was a single guy. Now I have a family of five…and a car that can only seat four comfortably. With that forcing my hand, I need a bigger and more reliable ride…sooner rather than later. With it still fresh in my mind (from the loan I’m eliminating now) that a roughly $25k loan equates to a $450 payment and my complete disdain to, you know, continue making $450 payments (weekly, no less) seemingly indefinitely AND the fact that, deep in my heart, I know this next vehicle will simply be a stop-gap until I can get the car I’d really like, well, the lease offers out there are really, really, enticing. New car with a smaller payment than what I’m paying now and…no huge new debt taken on. Financially, today, for me, that sounds pretty great. Now, about those mileage limitations…well, I don’t foresee those being an issue. See, when I was in my early 20’s, it wasn’t out of the ordinary to, you know, drive to Ohio for lunch or whatever. In the last decade, I haven’t driven 500 miles for lunch…yet. Further, I now live less than 2 miles from the places I visit most often (work, elementary school, and daycare) so clocking under the mileage limit shouldn’t be an issue. And…I have two other vehicles that I OWN should I start getting close to making it cost prohibitive. So, here’s what I’m thinking off of the top of my head right now. The “new” car has to be reliable. Duh. It has to fit my entire family and an assortment of hockey equipment comfortably. And it has to cost me less than the Swagger Wagon has been costing me. Notice that I did not say it had to look cool. Or fit in the new garage I’ll be having built. Or last a long time. Stop-gap, remember? Once this thing is gone and my kids are out of their enormous car seats, I can go back and get another Land Rover like I really want. For now, though, I’m leaning towards the Ford Transit. Sure, you’ve never heard of it but, trust me, you’ve seen them. They look like delivery trucks. Plumbers and electricians use them. Florists. Kind of like the modern day version of a panel cargo van — somewhere between a regular old school van and a full blown box truck. But here’s the thing — you can also get them with windows and seats in the back making them look more like handicapped vans or shuttle buses. Hardly cool — for real, it’s another Swagger Wagon — but way, way, practical. NO! Never get a Land Rover!! I was a “landie” fan once, donkey’s years ago, and spent nearly 10K on my dream vehicle over a three year period as things broke, leaked, belched, and leaked again. There is reason every Brit really is a mechanical genius when it comes to cars – they HAVE to be. Electric by Lucas “Prince of Darkness”, and a chassis that is self-oiled by the constantly oozing oil sump. Seriously, the movie “the God’s Must be Crazy; the anti-christ was absolutely correctly named! The Landie will cause you to curse the day you ever laid eyes and a wallet on one! All the time I was dealing with the rolling wreck 109, My dad’s Isuzu Trooper was the red-headed Step Child. Today, I realize if I had lavished just 2500 on that beloved little Trooper (that ran true to its name), I would STILL be driving it. I should have done that. I got 3,000 dollars for that POS Land Rover after sinking 10K into into it. I kept driving the Trooper for several years, but was too poor by then to afford to give it the parts it needed to keep running. Oh, I wouldn’t go for a lease either. There are a lot of pretty cool, safe, and spunky-sporty, family haulers that have a cool factor now that Landies have lost.